Water property specialist Russell Day of Riverhomes says the hottest new trend is living on a houseboat, says Cheryl Markosky. Which area do you cover? My west London Chiswick patch runs north of the Thames from Sunbury right down to Chiswick. How did you start out as an estate agent? I’ve always been interested in property and construction, but didn’t want a job tied to a desk. 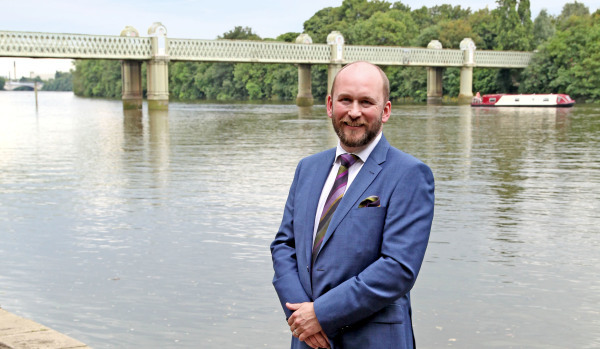 After a year in Australia, I worked for an independent agent on Chiswick High Road and then set up the first office of Riverhomes with my brother and father in 2003. What would you do if you weren’t an estate agent? I’d be an architect. I’m always doing a bit of a Kirsty Allsopp – knocking a wall down and putting in a bathroom. I love how Norman Foster designed The Gherkin. He drew a curve on a napkin and it went from there. What a memorable early property you sold in your area, when did you sell it and for how much? What’s it worth now? I sold an unusual, modern townhouse at Chiswick Staithe, with a garden running down to the river, for just over £700,000 in 2003. Now, it would be worth almost £2m. If money was no object, which house or street would you most like to live in on your patch? A period house on Strand-on-the-Green, where property starts at about £2m and rises up to £10m. Which house that’s currently on the market in your area would you like to live in? It would have to be a five-storey Georgian house we’re selling on Hammersmith Terrace for £4.2m, with six bedrooms and terrific views of the Thames. Only one of 17 mid-eighteenth century terraced houses along this stretch, it’s very rare. Any streets or zones on your patch that are particularly hot at the moment? Any hidden gems? 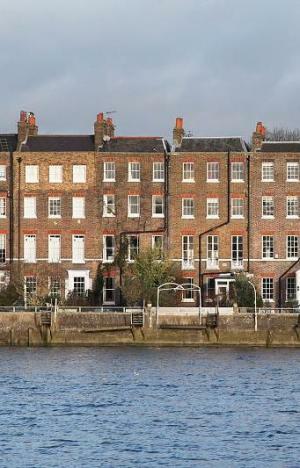 Owning a home near the water is hot, because people want water vistas and think it’s healthy being near the Thames. Another hot, new trend is living on a houseboat. Although the price of houseboats is going up, they still offer good value compared to an apartment – about half the amount per square foot. What are your top tips for buying, selling or letting property in the area? Buying: There’s huge competition for homes near the water, so ensure you’re in a strong position to make decisions quickly. Having your finances in order is key. Selling: Listen to your agent when you’re setting the asking price. A higher price doesn’t necessarily mean a higher achieved price. Letting: Maintain the property to the standard you’d be happy to find if you were renting it. And it’s not always about getting a tenant who pays the highest rent - it’s about renting to the right tenant. How would you spend the perfect day off in your area? I would rent a boat and take my wife, Sara, and children, Imogen and Hugo upstream. We’d then have breakfast at Annie’s - run by a local lady - in Thames Road. I’d order the full monty English, or eggs benedict. Lunch would follow at The Bell and Crown on Strand-on-the-Green, where they serve local Fuller’s beer. Their burgers are wonderful. And I’d round off the day at Michelin-starred Hedone on Chiswick High Road, where I’ve had some memorable meals. The chef’s always trying to break new ground. Instead of choosing from the menu, you buy into different courses. What’s your favourite place for dinner in your area? Another Michelin-starred restaurant La Trompette on Devonshire Road. It has a lovely setting and I’d share Chateaubriand steak with my wife – more 60/40 for me, rather than 50/50 though. If you could change one thing to make your working life better what would it be? People sticking to what they agreed to. In Scotland, it’s not far off shaking hands and signing when you buy a property. But we have a more antiquated system in England, which means it can take months to sell a home. What will dominate the news in your market in 2015? The General Election in May is already having a big effect on the property market. When there’s uncertainly, the default position for many is to stay where they are. Uncertainty about property taxes, especially the proposed mansion tax, is also unsettling. What’s your motto for being a successful agent? You get the results you deserve, not the results you want. Keep putting the effort in - and you’ll succeed.